It was a fun day to get out there and get some really big blacktips, though we had set out for some tarpon, we had a great time with the blacktips. 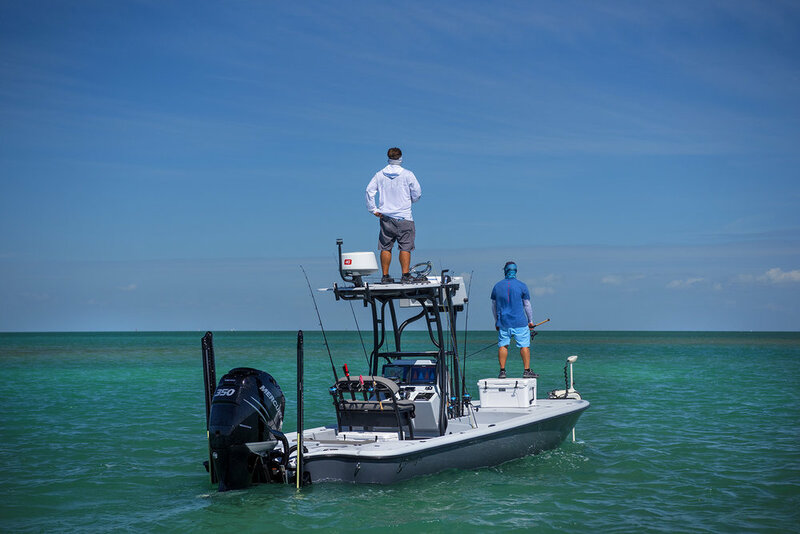 Fortunately we were set up for if conditions changed, we had a well of pilchards, shrimp and crabs and chum… We were ready for whatever, and after the first bite shocked us as a cuda we decided to switch up our plans and use him for bait for the blacktips. So I thought, the shark nose were coming in so I pulled out a light rod and put on a shark fly and try to catch one of these. I thought if Rich caught a couple then it would fire them up even more (action brings more action). This made a huge difference, it’s one thing to just put out chum, it’s another thing once you actually catch them. We had a crazy fight with the blacktips, the jumps that he did were unreal. We were able to see super clearly with the perfect shallow water and it checked all of our boxes. Check out the show and let us know what you favorite parts were.